In our last writing, we explored the differences between epoxy floor coatings and epoxy paints. We described how epoxy paints are thin and brittle veneers best suited for decorative applications with no mechanical stress. Epoxy paints does not provide adequate cover for high-use surfaces that require more durable protection. Everlast epoxy floor coatings, on the other hand, consist of a thick liquid combined with an aggregate that hardens into a durable protectant when applied to the receiving surface. Epoxy floor coatings provide necessary protection for high-traffic floors and other surfaces which would otherwise wear out with extended use. 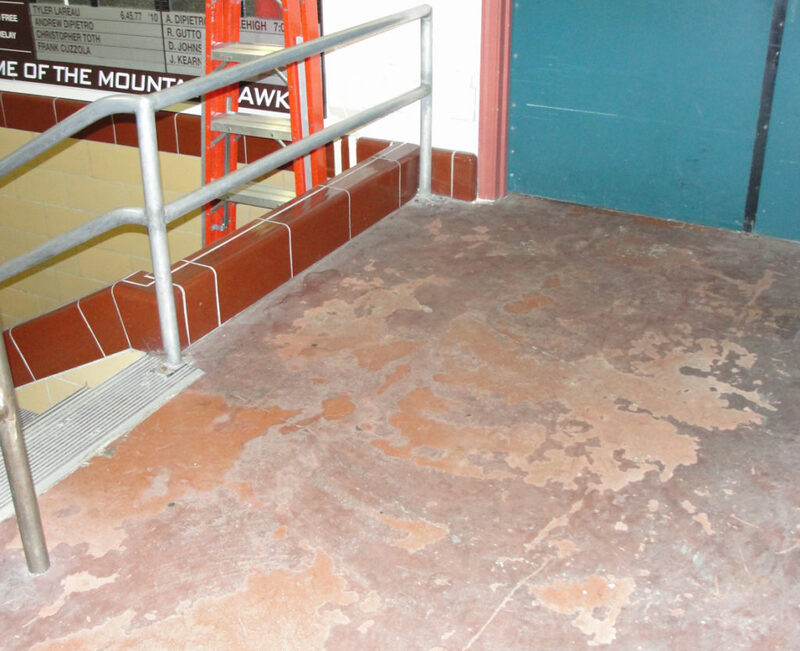 Epoxy floor coatings provide durable resistance against abrasion and chemical corrosion. If you need a thicker protective coating for your floor. Trust Everlast Epoxy Systems to provide time tested epoxy floor coatings that are sufficiently durable for your application’s needs. When purchasing a protective coating finish, make sure to select a product that provides the necessary durability and protection required for specific surfaces. 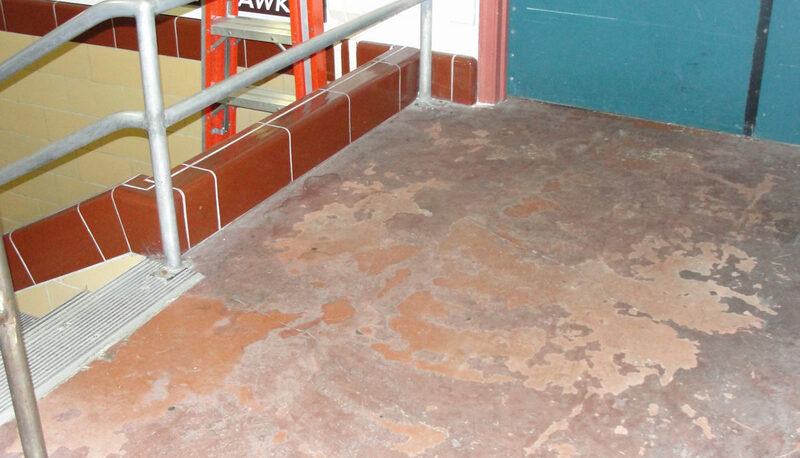 In the case of floor finishing, epoxy paints do not provide sufficient protection. Everlast Epoxy has developed a line of floor coating products to answer the specific protection needs of high-traffic floors. The everlast Floor consists of a seamless marble-chip and quartz commercial epoxy. Everlast Eco Floor has these same properties, while being made from recycled content. These products are a necessity in a number of situations and locations, and can be easily applied to existing flooring. Concrete, wood, tile, VCT, and other surfaces can be quickly and easily covered in one coating of Everlast Floor or Everlast Eco Floor and be ready for punishing traffic in only 24 hours. While most flooring contractors can quickly apply our coatings, even those without previous experience can follow our simple directions to achieve a reliable installation. Medical facilities are some of the most likely places to install Everlast Floor. With confidence that the floor will maintain a sanitary and smooth surface for a lifetime, hospitals often use our products. Restaurants use Everlast Floor in both kitchens and dining areas, where heavy foot traffic, spills, and harsh equipment and furniture moves would obliterate other epoxy painted floors with layer construction or brittle thinner surfaces. Our product further protects your environment with inclusion of an FDA approved anti-microbial component. It’s the clear choice for food service applications. Auto body shops and mechanics can also use Everlast Floor to protect from vehicle and tool abuse that would crumble lesser floors. These dirty locations benefit from the quick clean up afforded by an Everlast floor resistant to erosion from the harsh chemical cleaners needed to remove grease and grime quickly. For use in freezers, other floor treatments simply don’t stand up to the harmful and powerful effects of expanding water. Everlast Freezer Floor locks out the moisture while withstanding the punishing temperature extremes in freezers. These applications all use Everlast Epoxy Floors because they require using the strongest, longest-lasting, and most sanitary materials. Everlast Epoxy’s products aren’t just for floors either! Use the coatings on restroom and shower walls that would be susceptible to germs and moisture damage. Other solutions call for removal of existing surfaces. But Everlast epoxy floor coatings can be applied directly on top of existing surfaces. Everlast Epoxy’s customers start saving money with low cost installation and continue saving through lower maintenance costs thanks to the durable and long lasting surface. At Everlast Epoxy, we know epoxy flooring, and that’s why you’ll find the epoxy floor product necessary to extend the lifetime of your floors. Make the right choice. Choose Everlast Epoxy.